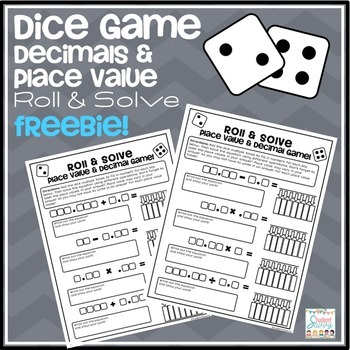 Here is a free dice "Roll & Solve" game for students who are learning place value! Have students roll the dice multiple times to fill in numbers for each box provided. Then solve the equation using different operations. Remind students to label the place values in their answers! My Geometric Dream House 4th Grade!